Your generous sponsorship will entitle your business to: Two (2) Scramble Foursomes, Company Name and Logo Display acknowledging your generous gift, a FULL page Company Name and Logo ad in our Event Program, Company Name and Logo in All Advertising, as well as a Tee Sponsor Recognition Sign and recognition on CHRIC’s website and Facebook page. Your generous sponsorship will entitle your business to: One (1) Scramble Foursome, Company Name and Logo Recognition Display, a HALF page Company Name and Logo ad in our Event Program, Company Name and Logo in All Advertising, as well as a Tee Sponsor Recognition Sign and recognition on CHRIC’s website and Facebook page. This sponsorship will entitle your business to: Company Name and Logo Recognition Display, a HALF Page Company Name and Logo ad in our Event Program, as well as a Tee Sponsor Recognition Sign and recognition on CHRIC’s website and Facebook page. Sponsor a Veteran’s Team from one of our local area Veteran’s agencies in Chautauqua County. This generous sponsor will benefit four (4) lucky Vets to come out and Golf us for the day! This sponsorship will entitle your business to: Company Name and Logo Recognition Display, a HALF Page Company Name and Logo ad in our Event Program, with recognition of your team sponsor and to which Veteran’s agency it was donated, as well as a Tee Sponsor Recognition Sign and recognition on CHRIC’s website and Facebook page. 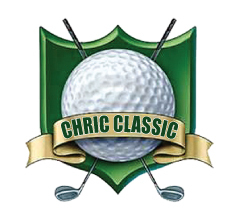 This sponsorship entitles your business to: Company Name and Logo Displayed on Every Cart, A 1/3 Page Company Name and Logo ad in our Event Program, as well as a Tee Sponsor recognition Sign and Recognition on CHRIC’s website and Facebook page. This sponsorship entitles your business to: Company Name and Logo Displayed, a 1/3 Page Company Name and Logo ad in our Event Program, as well as a Tee Sponsor Recognition Sign and recognition on CHRIC’s website and Facebook page. Golfers get three (3) tries to earn tickets for prize drawing! This sponsorship entitles your business to: Company Name on Sponsor Recognition Sign at Contest Site, as well as a Business Card ad in our Event Program and recognition on CHRIC’s website and Facebook page. This sponsorship entitles your business to: Your Company Name on our Bright Yellow 18” x 24” CHRIC CLASSIC Tee Display, as well as a Business Card ad in our Event Program and recognition on CHRIC’s website and Facebook page. For your generous donation of any amount up to $99, you will receive: Recognition in our Event Program with your personal message to CHRIC or Golfers and recognition on CHRIC’s website and Facebook page. Unable to provide support through a monetary donation? Donations of items for prizes and a basket raffle would greatly be appreciated and beneficial to the success of this event. assistance to your neighbors and your community.